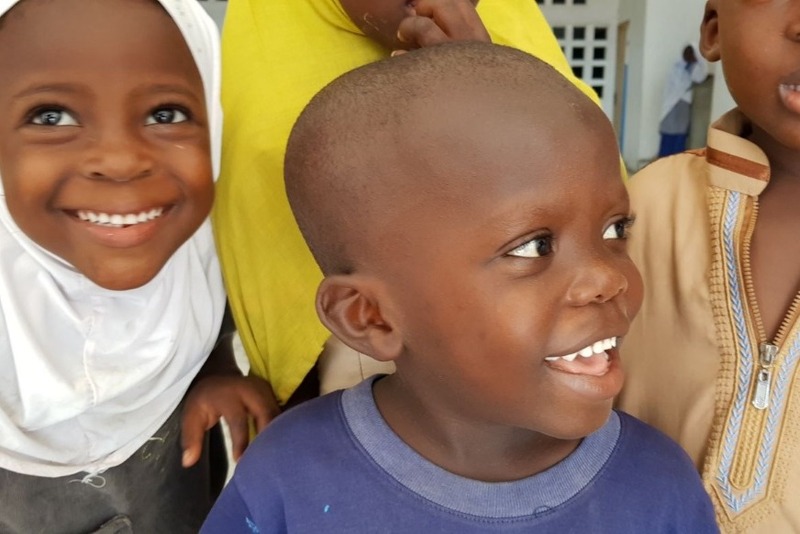 MATW- Muslims Around The World was a special project developed in October 2015 to assist those less fortunate in the poverty stricken areas of Togo in Africa. “Muslims Around the World” was established by Ali Banat, a brother from within the Australian Muslim community, who recently found out he was diagnosed with cancer. This motivated Ali to travel to Togo, Africa and spend the rest of his time assisting the communities there. During his 2 week journey, Ali met local children and families and has seen their situation first hand. What started as a personal project has turned into a long term vision to bring joy to the smiles of children all over the world. Muslims Around the World aims to build a village which will be home to over 200 widows, a masjid for the local community and a school to house 600 orphans. A mini hospital/medical centre and businesses to support the local community are also going to be established. With Muslims Around the World, 100% of the donations will be delivered with 0% administrative fee as all fees are covered by sponsorship. All funds collected are divided and spent amongst the 3 projects MATW has running at the moment MATW Village, Chive Project and Cemetry Project. We purchase all materials for all three sites, pay workers, provide food for those on sight and aid for those who in need also. In creating these 3 projects we have created on going sustainable support. Dear supporters, we are so excited to fill you in on how MATW has progressed, since the establishment of our GoFundMe campaign, by our late founder Ali Banat may God have mercy on him. We would like to thank everyone deeply for the immense support we have received. We especially thank all those who have funded, shared and involved themselves in this great initiative! 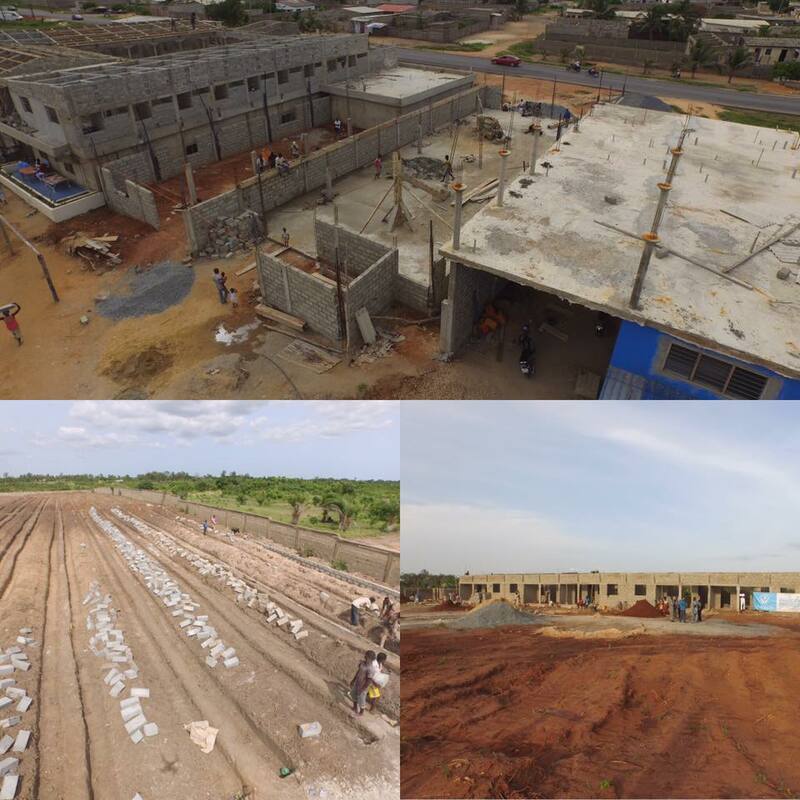 From 2016, much has transpired on the grounds in our project locations of Togo, Tsevie and Agbodan. Our mission was to establish fully furnished widow homes, including provisions of food and utilities, multiple schools and colleges. 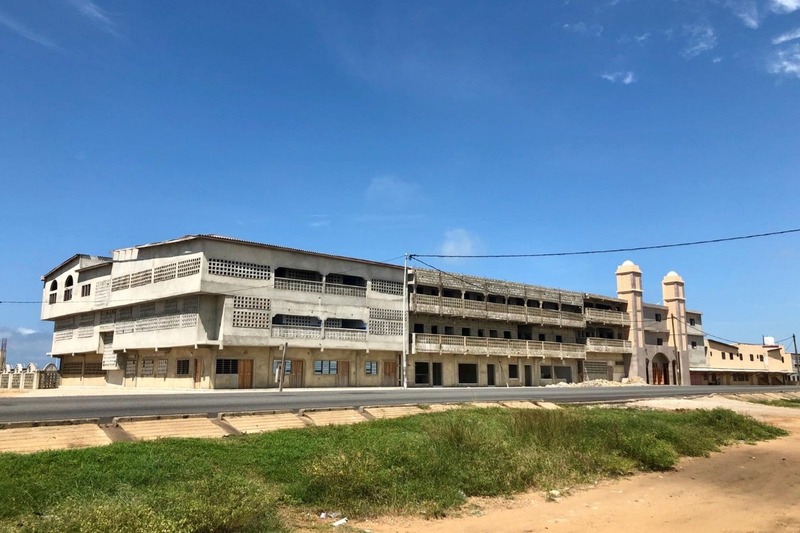 An orphanage, shops for self-sustainability and a cemetery with included facilities such as a vehicle for transportation. Since our last update, we have raised $925,845.00 due to all your efforts! To date we have completed construction on our 10-acre cemetery, with an attached mosque. The wash room is at a 90% completion and we have purchased our funeral vehicle ready for use. We have also included in the cemetery, a garden where families can visit the deceased. Our Tsevie village which includes, 30 equipped widow homes, a school, a mosque, an agricultural farm and chicken poultry farm is now complete and fully functioning. Our Tsevie school, has 600 attendees and growing. Due to the demand we have had to extend the current school to accommodate, for an additional 200 students on a wait list to attend. Our agricultural farm is flourishing, producing large amounts of vegetation, weekly for distribution. The produce is utilised for those who live in the village, and also to sell to the local public. Our chicken poultry farm is producing 5000 eggs weekly, poultry are for sale to the public and also used for those in the village. All homes are now occupied by families, and the village is thriving. The village has been arranged to be sustainable, for many years to come. The MATW Kpoga beach village, which is the largest of our projects consists of 200 widow homes, an orphanage, a fully equipped sewing college, and one fully equipped aluminium/woodwork college. There is an extensive school for primary and secondary students, a bakery, an outdoor cinema and a number of super-markets. It is close to completion with half of the houses already inhabited by numerous widows and their families. Our school is fully functioning with up to, 1000 students attending on a daily basis. Both colleges are completely operative with students, producing materials and items such as uniforms for students, and supplies to use in our construction process. This project has been nurtured to a point, where once complete it will fully sustain itself. This is made possible through the various avenues we have taken, in order to ensure the village succeeds for many more years to come. This is made possible from our bakery, our super markets and material production facilities. 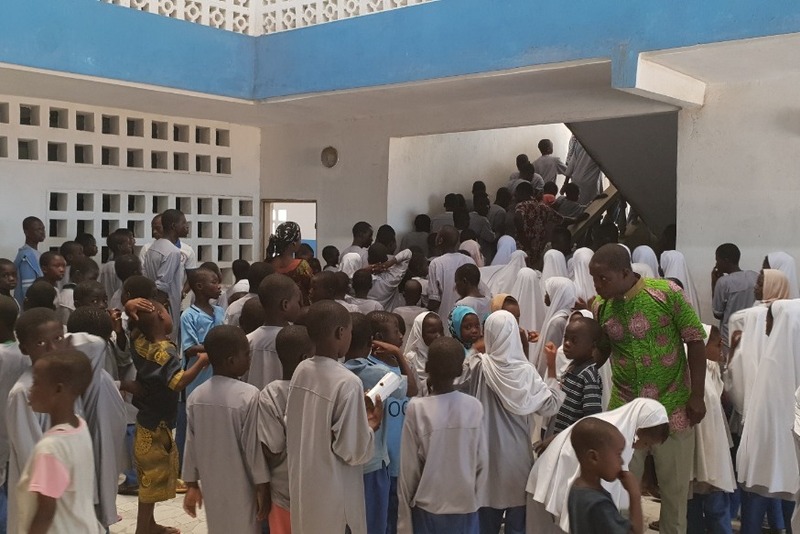 We are also in the middle stages of establishing an educational center, this will account for those who wish to further their education beyond secondary school and college. This project will be a first of its kind, in Togo and we are excited to take you on this journey with us. As of now we have $357,550.00 remaining to reach our goal. We are very excited to continue this journey with you all. We hope to exceed our goal, but we cannot do it without our supporters collectively. We value and appreciate all your support to help make way for a better future, for the people of Africa. Dear Gofund donors, this is a short message to update you on how I Ali Banat am controlling and disbursing all funds donated through Gofund. I am touched by your story. I also have stage 4 cancer. I understand the feelings you described. I am with you my friend. Stay strong thanks for helping me see things more clear. Salam May Allah swt reward every single person that has donated to this beneficial project. May Allah accept our Duaa. May we all meet one day in Jannah. May Allah grant your work ! I will always remember you. We face little problems and we call them challenges and we get sad about it. My heart is bleeding with you brother . May Allah reward you with jannah and ease your pain... Ameen. Don't know what to say but I am really touched. May God Allmighty continue to guide and protect us all.